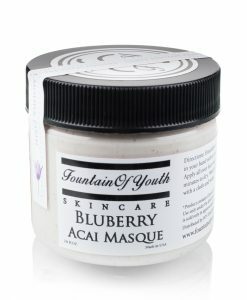 Bluberry Acai Masque • Vegan Skincare • All Natural Skincare • Find Vegan Skin Care Products here • Shop Vegan Skin Care Products here. Although every skin type can benefit from this masque, Blu™Berry Acai Masque is amazing for acne, oily skin or t-zone issues. 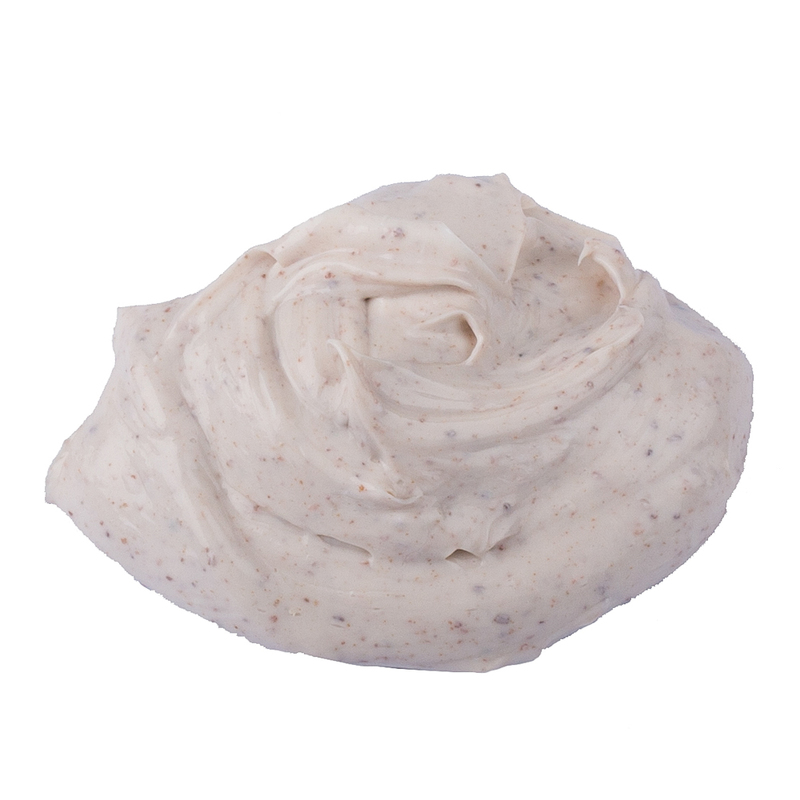 It is made with glycolic, salicylic & lactic acid, which are great for acne scars, deep exfoliation and pigmentation. Bask in a delightful fruit dream with this summer-inspired masque, chock full of real fruits and antioxidants that protect the skin from aging, pollution and cellular damage. 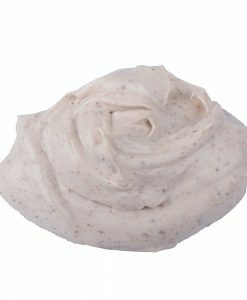 Packed with exfoliators, you will notice an instant difference after use. Freshly picked blueberries with a pinch of tart cranberries. 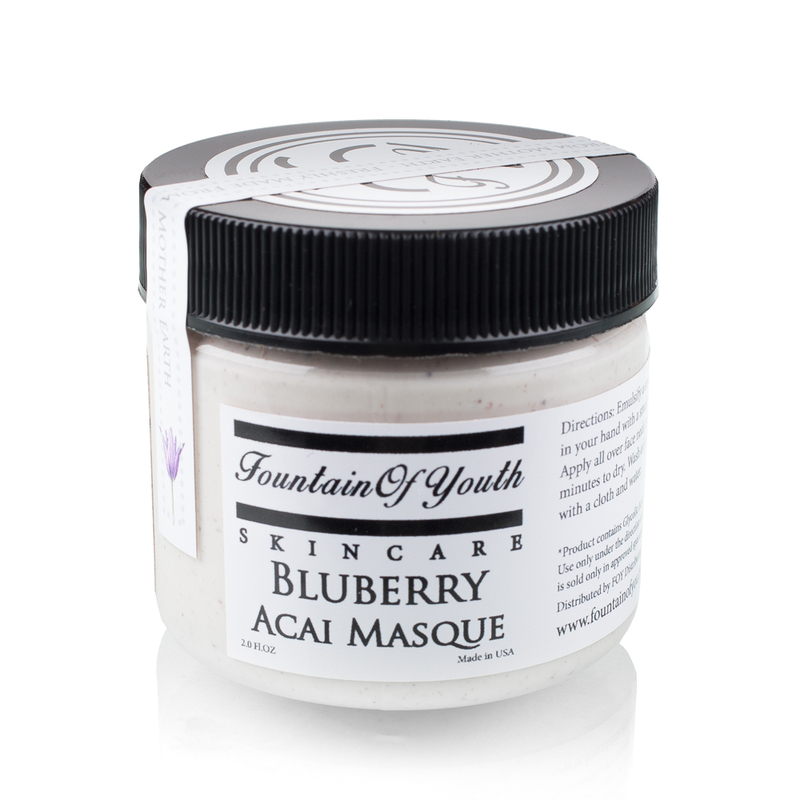 Blueberry, cranberry, kaolin clay, hyaluronic acid, glycolic acid, lactic acid, salicylic acid. 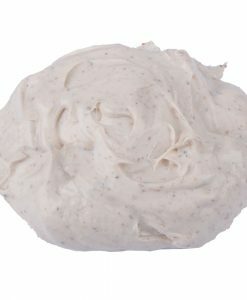 Apply a generous layer to the face avoiding the eye area, hairline and eye brows. Leave on 3-10 Minutes. 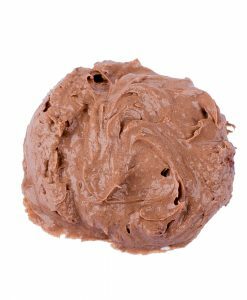 Rinse with warm water and wipe off excess masque with a wet cloth. Cleanse the skin thoroughly. Follow with toner. This mask is great for when I need a soothing treatment for parched skin in the winter or if I want to help repair my skin after a bad breakout. It goes on very smoothly and after I rinse, my skin really looks brighter! I do leave the mask on for longer than 20 minutes (30-60 minutes-might not be recommended but that works for my non-sensitive, acne-prone skin). I ordered this mask for my back bar in my esthetics room and people fell in love with it so I ordered the retail sizes and they have flown off the shelves! I can’t keep it in stock! Love this company! Everything about this masque is exceptional. My clients love it and it flys off the shelf. My skin looks better and better every week. This masque smells amazing and I leave it on for a half hour! I know the instructions say ten minutes but I’ve been pleased with leaving it on longer! Obsessed with their masque! Got this for Christmas even though I have only used it once my skin is glowing already! Can’t wait to use it again in a couple days! My customers love the smell of this!! !